3.84mm x 16.37mm / 0.151in. x 0.645in. 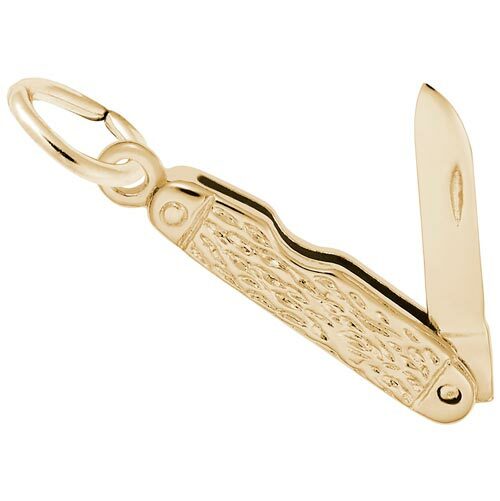 Miniature Pocket Knife Charm Pendant by Rembrandt Charms. The length is 5/8 of an inch. Keep your love of the outdoors close to you when you add our miniature Pocket Knife Charm pendant. This is a perfect fit for her love of hunting. Add this pocket knife Jewelry piece to your favorite Symbols and Expressions Bangle Bracelet. All Rembrandt Charms are available in either silver or gold.